NVIDIA unveiled Jetson Xavier module and devkit last month, but the company did not release the full information, and for example we did not get any clear photo of the module and kit. Charbax did shot a video with more details at the time, but NVIDIA has now published more information about their upcoming $1,299 Jetson Xavier Developer Kit, including an introduction video which I’ll embed at the end of this article. The first thing to understand is that the module is not actually used in the developer kit, and will only used in actual mass-produced products. The main difference is the thermal solition. The development kit including a large heatsink, while the production module has a thermally conductive plate to let product designer select the most suitable thermal solution for their products. 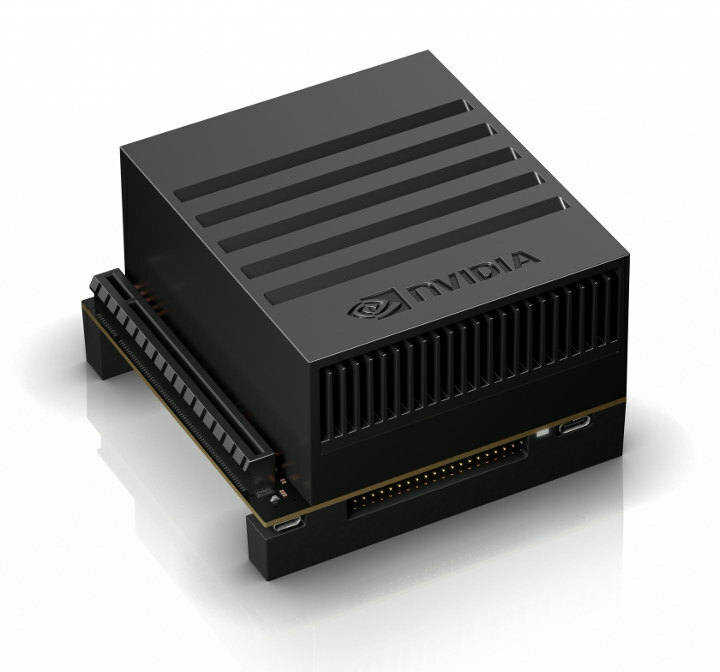 NVIDIA Jetson Xavier can be configured to operated in 10W, 15W, or 30W modes, and is said to have 10 times the energy efficiency, and 20 times the performance of Jetson TX2. Applications include robots, drones and other autonomous machines that the processing power for AI workloads at the edge. 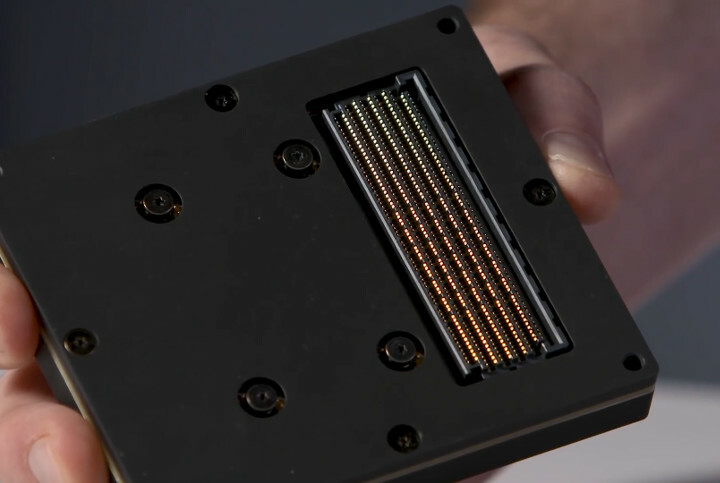 Software-wise, the module and kit will still support NVIDIA JetPack (Linux), and Isaac Robotics Software unveiled during the first announcement. If you are interested in the NVIDIA Jetson Xavier developer kit, you can still register your interest on the product page with expected delivery in August. I want to buy one and use it to blink a LED. I think blinking an LED may overheat the device. The price of the NVIDIA Jetson Xavier Developer Kit is $2,499 (USD). Members of the NVIDIA Developer Program are eligible to receive their first kit at a special price of $1,299 (USD). Prices vary by region or distributor, and taxes/duties may apply. Select your region for your local price. Jetson Xavier will be available in other regions starting August 27, 2018. Please check back here for the latest updates.